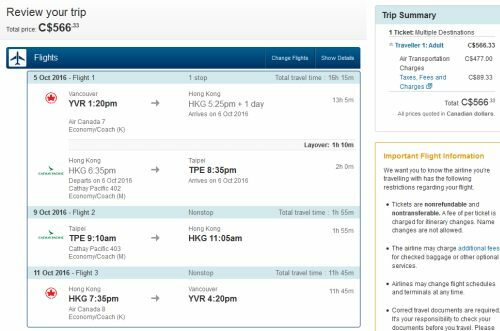 The 2 in 1 trip to Asia involves flying from Vancouver to Hong Kong, to Taiwan, to Japan, and back home, all for as low as $566 CAD roundtrip including taxes. This is a variation on the 3 in 1 trip to Asia that was posted yesterday. You're essentially removing Tokyo, Japan from the equation. And also visiting Taiwan *before* Hong Kong this time. 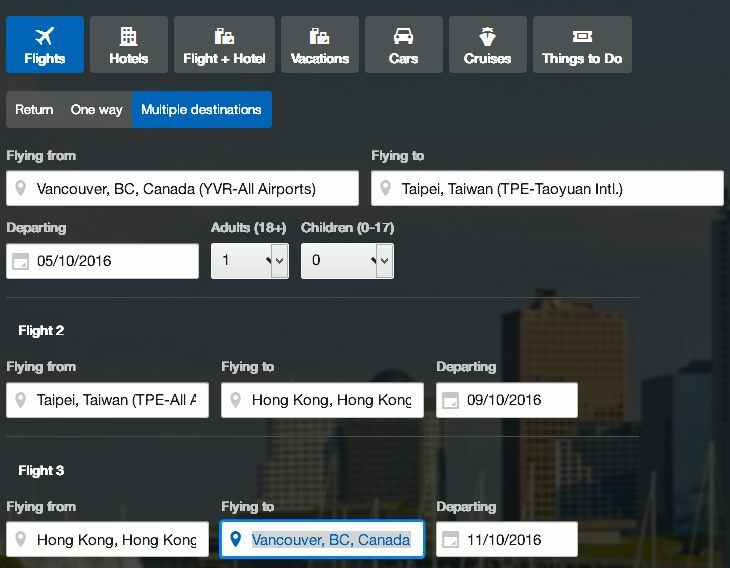 vancouver, yvr, flight deals, air canada, taipei, taiwan, tpe, asia, east asia, cathay pacific, hong kong, hkg and hong kong airlines.